Get Your Blues Groove On! Well, it's about time, I know! Sorry it has taken a little over 2 weeks for your next eNotes. This one is gonna teach you all about a very cool blues riff for the right hand. 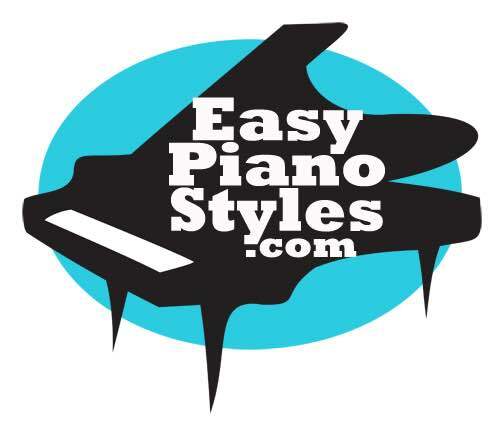 If you are playing blues, rock, pop, jazz/funk, this riff is for you. I use it all the time! There are 42 more lessons just like that one if you really want to learn how to get those fingers moving' and a'rocking. 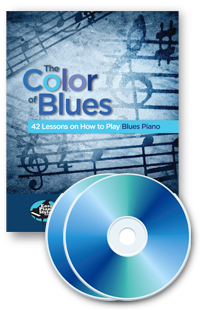 And with this blues series, The Color of Blues all of the techniques, riffs, boogie patterns, are notated with a beautiful book. For the next three days, until my daughter's birthday on June 28th, this program will go on sale from $55 to $40 as a digital download. So there's no shipping! Order Now for this deep discount. Be well and we'll talk next week!